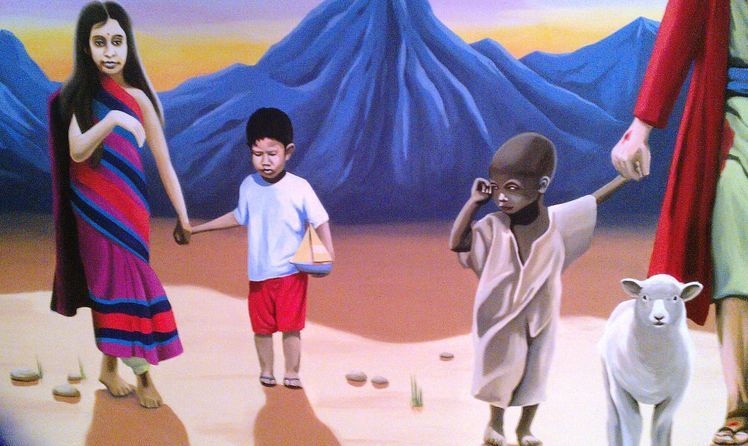 This mural is painted on a living room wall. 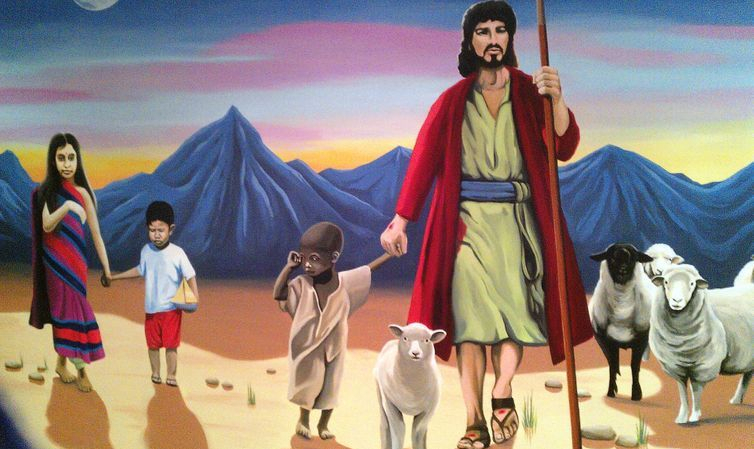 It depicts Jesus Christ walking with a flock of sheep and some children. It is about 16ft wide and took us 6 days to complete. 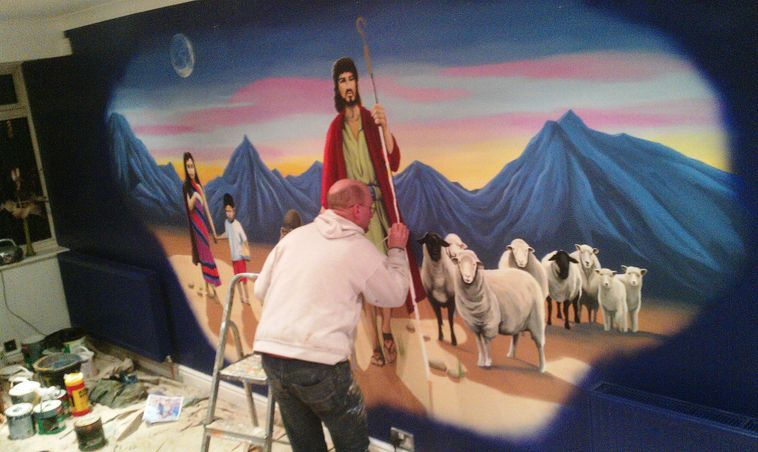 The client had very specific instructions as to what would be in the mural, right down to what clothes the children were wearing andf the stimata on the central figure. It faded at the edges into the deep blue of the rest of the room. 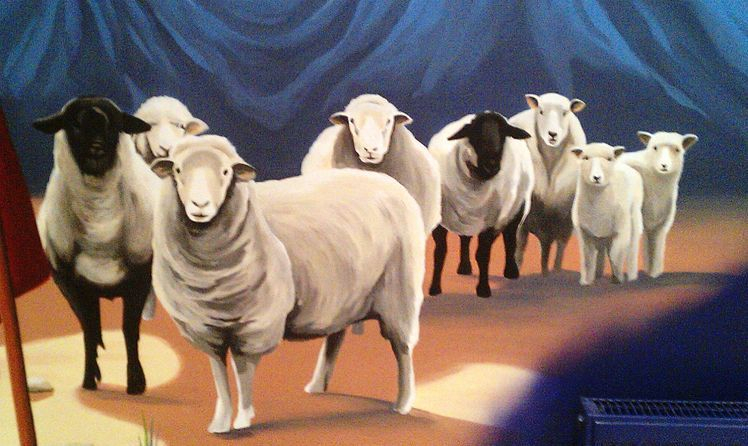 Here are some details of the mural.